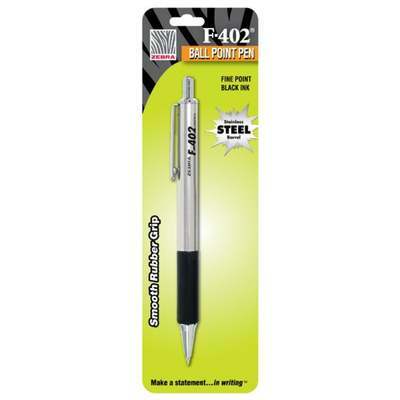 Executive style stainless steel barrel retractable pen, with a large rubberized grip for writing comfort and control. Designer metal pocket clip for easy storage. Refillable with Zebra F-refill.